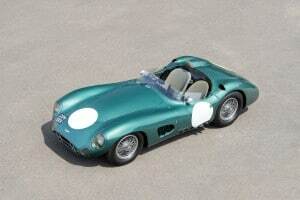 1956 Aston Martin DBR1. Auctioned by RM Sotheby’s at 18 August 2017 for 22,550,000 dollar / 17,514,500 pound. Photo Tim Scott, RM Sotheby’s. This was the most expensive car auctioned in 2017.